Do We Need New Maps To Protect Nature Or A New Land-Based 'Mythology'? Reading Lori Ryker’s column, Mapping Nature to Build a Smarter Human Footprint, in Mountain Journal took me, as they say, down memory lane. She was referencing a map showing the migration routes of elk herds in the Greater Yellowstone Ecosystem compiled by the Wyoming Migration Initiative. I take no offense at Ryker’s statement. The maps I made may well have been consigned to the landfill, though government seldom throws things away, so they are probably collecting dust in a closet. Similar maps molder elsewhere. 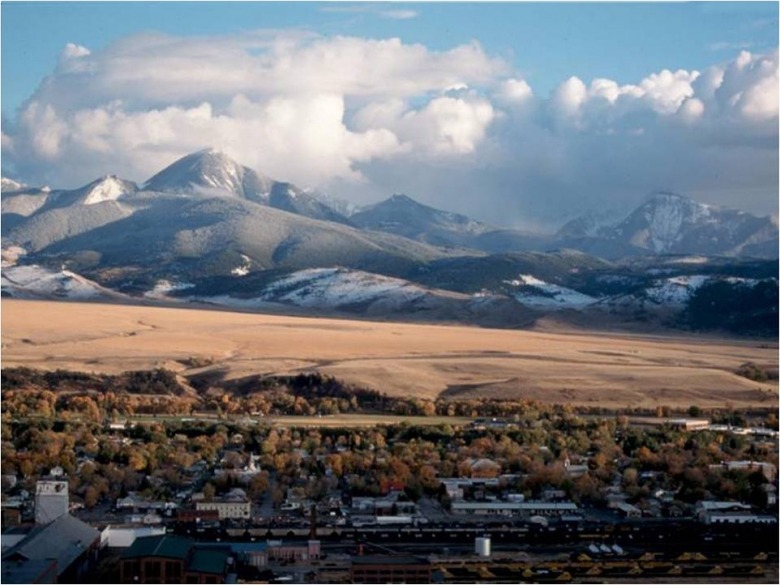 I have worked on them, or commissioned their production, on all sides of Greater Yellowstone (and beyond). And I am not alone. 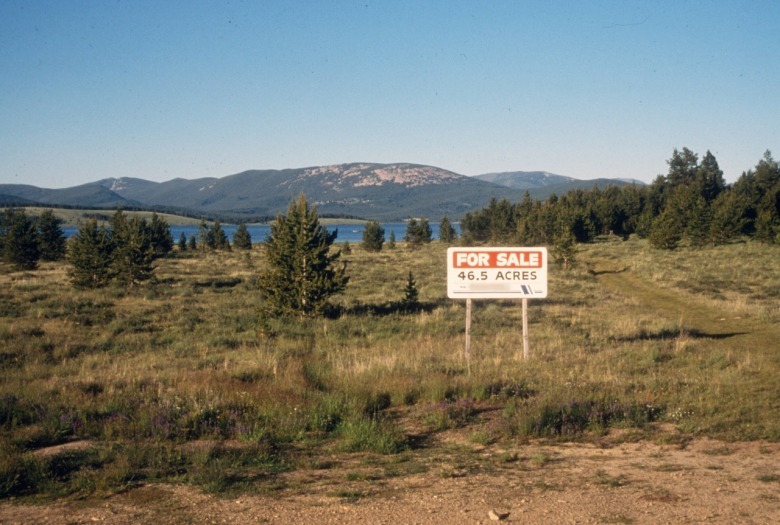 Planners and landscape architects have been mapping the information that should guide development in Greater Yellowstone since at least 1975. We can make better maps now, much better. 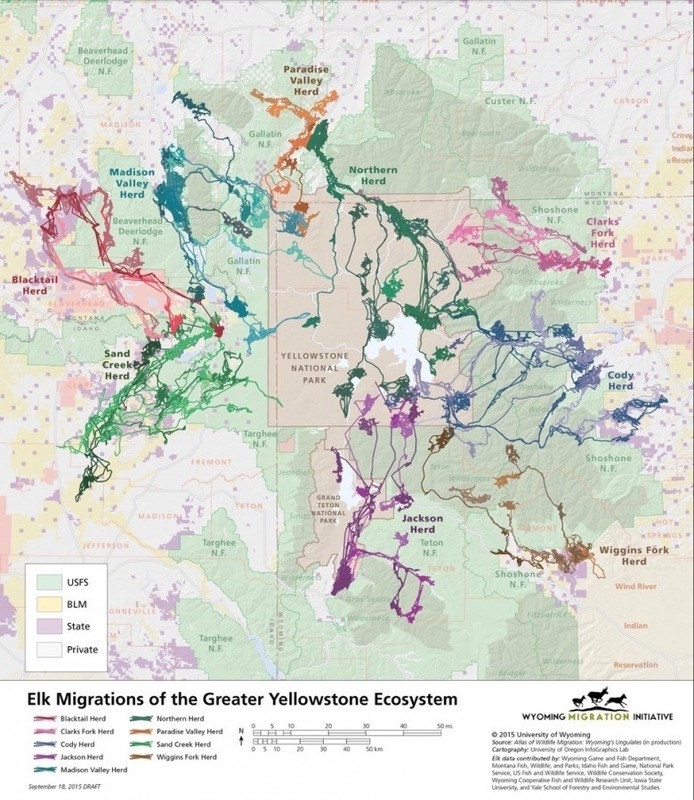 The map of elk migrations, compiled by the Wyoming Migration Initiative and referenced in Lori Ryker's column. Geographic information systems have revolutionized cartographic possibilities. We have better data, too. 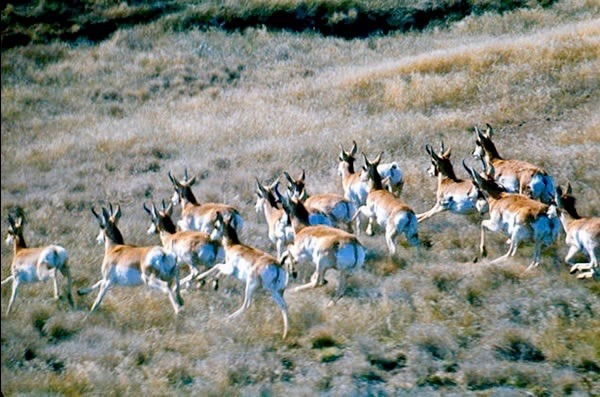 Think of the recent work on the migrations of pronghorn and elk. How exciting it is to understand these animal odysseys. And, as I think back to that pen in my hand, filled with ink waiting to run outside the lines, how exciting it is to send the data to a nearly infallible plotter and print a map in glowing color. Wow! But the tools we had when GIS systems were just a glimmer were more than adequate to lay out the basics – the varying character of the rocks and soils, the extent of the riparian plants, and more. Those maps made small differences. There are subdivisions that are better because of them. Even a few developments that set aside of bit of habitat, holding it out of lots, holding out at least the hope that some connectivity between open spaces would remain within the sprawl. We have known how to map development suitability for a long time, at least since the 1890s, when the maps were drawn on linen. An entire generation of landscape architects and planners was sparked into action when this type of mapping and the planning based on it made the news in the Brandywine Valley of Pennsylvania in the 1960’s. We know what to do; we’ve done it with the tools we had as they evolved. So, it is time to admit something. Something serious and sad. Something I think many readers understand, at least viscerally, but don’t want to talk about. I’d rather not myself. But here goes. The science and technology we have is cool, so cool that it has become a distraction. A distraction to which I sometimes yield. I gave a ranger program on what we have learned about Yellowstone Lake last summer. It featured the imaging and mapping tools that found those fantastic spires rising off the lake bottom: an underwater landscape no one imagined just a few years ago. We can make maps. Tell me which part of the ecosystem you want mapped, give me a reasonable budget and a few months. I’ll put the maps in the mail. What we cannot seem to do is expand the impact information has on decision makers. I don’t know if writer and Mountain Journal editor Todd Wilkinson remembers this, but he and I had a conversation about “progress in inches” sometime in the early 1990s, a time when another set of county commissioners was looking at another set of maps, maps of stream buffers, elk habitat, and geologic hazards. Maps suggesting a development pattern in exactly the way that Lori Ryker, a maven in thinking place-respecting architecture, calls for. Those maps made some small differences. But the modestly progressive planning system of which they were a part was repealed and replaced with regulations that make no difference at all if one’s goal is preventing further loss of that county’s natural and cultural resources. We are rapidly expanding what we know about the geology, limnology, and landscape ecology of this ecosystem. Our science is fantastic. And it sometimes makes a difference in the management of the federal lands. But with one exception, which I will point out in a bit, science has had almost no impact on the development of private lands of Greater Yellowstone. And this is not the only place that is true. I recently had this same conversation in the Adirondacks of upstate New York. Ironically, science explains the failure of science to influence development, but a science on which those in the conservation community have put too little emphasis: psychology. Our detractors are not always wrong when they say that we are not very interested in people. There is environmental psychology, of course, the findings of which underlay visual resource planning. And some of us have become experts in the practical psychology of collaborative decision-making. We are, however, ignoring the findings of moral psychology. To give credit where it is due, these findings have anthropological roots and some even come from economists who rebelled against the mainstream of their profession. Those findings are simple enough. People do not base decisions on rational analysis, much less on the latest scientific findings. People base decisions on common mythology, as it is understood and reinforced by their peers, and on rules-of-thumb that stem from their mythos. "People do not base decisions on rational analysis, much less on the latest scientific findings. People base decisions on common mythology, as it is understood and reinforced by their peers, and on rules-of-thumb that stem from their mythos." New York University Professor Jonathan Haidt explains that our reasoning ability is like that of a small rider perched on the back of an elephant of essentially unconscious reaction to the world. You can find Haidt’s account of his research in his book, The Righteous Mind. What I say here is built on that and my own experience. Similar findings have been reported by Dan Kahan and others from the Yale Program on Climate Communication. To boil it down another way: the myths that guide land use are more powerful than any maps. And this is best proven, I think, not by sprawling subdivisions, but by one of conservation’s great successes. We have protected millions of acres of important watersheds and habitat under conservation easements, many of which are justified, or at least documented, using the type of maps Lori Ryker asks for. We can hope to protect more because the conservation easement is a tool that aligns with the prevailing mythologies of individuality (easements happen one owner at a time) and private land-use decisions. Conservation easements are opposed by few except some possibly prescient conservatives who fear that they may be part of what leads us toward what is really needed: a transformed understanding of property. Whether the popularity of conservation easements helps get us there or not, it is clear that we do not understand how the science-based rider can persuade the myth-driven elephant to take a different path into the future. We can get the rider to step forward for a moment. That is what the practice of collaborative planning and decision-making is all about. But the elephant reasserts itself and our small successes are repealed or rendered moot by the scale of myth-driven development. If we love this landscape then our task, and it is a humbling one, is to change the elephant (the old myths evident in the stories we tell ourselves and keep repeating). That will be hard in in our West of particularly potent myths. Patty Nelson Limerick wrote The Legacy of Conquest, the book that began a new take on the history of the West, 30 years ago and yet, last year, there she was in Cody talking about the relevance of William F. “Buffalo Bill” Cody, a man who managed to make himself part of the myth. It is a myth so strong that it has ground off his progressive edges. Can we get past the myth? Maybe not, but we must try. Climate change will drive more people to live among our mountains and we may be even less ready to manage that emigration than the last one. What we know – we have maps - and the land trusts will have some impact on how the new wave of people settles on the land. But if we want to transform how development happens in the West we can do so only by transforming the venerable myths of individualism and property rights. "Climate change will drive more people to live among our mountains and we may be even less ready to manage that emigration than the last one...if we want to transform how development happens in the West we can do so only by transforming the venerable myths of individualism and property rights." I don’t know what the new guiding myths—the new stories that will more accurately reflect our modern values— looks like. I don’t know what will stick and become part of the evolved elephant. I would like, for the happiness of my kids, for it to be a story in which stewardship is more important than possession; in which experience, not accumulation is the goal; and in which a sense of place and community is understood to be more important in driving the economy than any commodity. 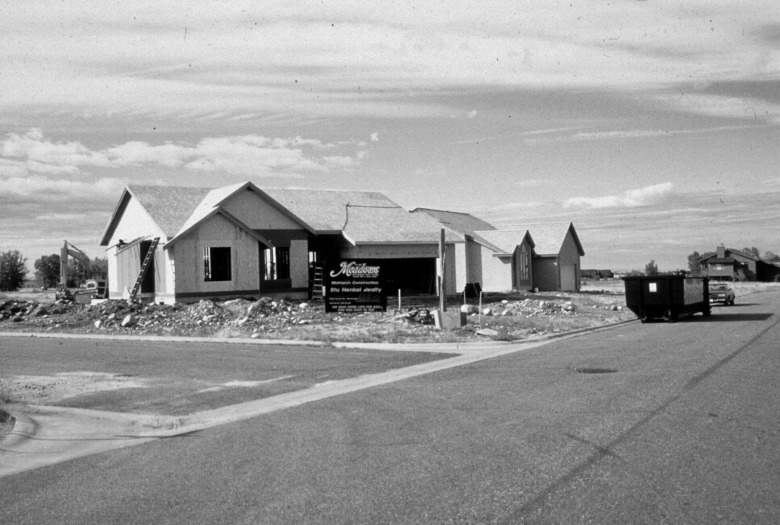 The lone horseman metaphor (I am writing from Wyoming, after all) will be honored as a part of the evolving story, but the new heroine (yes) will have had the gumption to get people together and build some affordable housing in her town. A new myth is nascent. You see it in stream restoration projects, farmer’s markets, and many other forms that now appear to be only loosely related. But these scattered efforts can only be scaled up to be the new working myth if we become conscious of, and accept, that we can be (that we have to be) myth makers, and that now is the time to tell a new story of peoples’ presence in the West. PS: The new myth and the inspiring stories built around it will result in awesome maps. 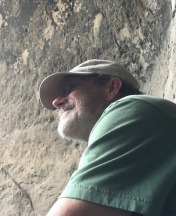 Lee Nellis is an elected member of the College of Fellows of the American Institute of Certified Planners and a pioneer of planning and community-based conservation in Greater Yellowstone and the rural West. He has taken sabbaticals from the constant controversy of western planning to work in Vermont, where planners are more popular, and to serve as a guide and ranger in the Big Horn Basin, the Thorofare, and other parts of Yellowstone.